Park Hyatt Hyderabad is hosting a promotion of Goan food with a special focus on the infusion of Portuguese flavours on the Konkani food. 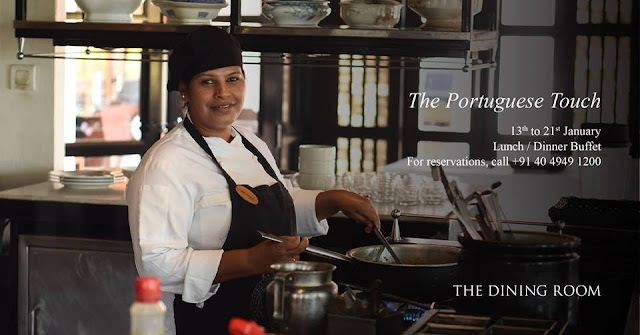 Chef Tanuja Kerkar from Park Hyatt, Goa is in Hyderabad to curate the festival, and she has put together a menu consisting of dishes mostly from the Goan Catholic cuisine. However, the Gomantak Konkani food has not been ignored, and we have some dishes from that segment as well. Invited for a preview of the festival, it was a pleasure to meet Chef Tanuja. Extremely passionate about her dishes, she seemed to be a person who would let her food do the talking for her. So without much ado, we settled down to try the Goan dishes for the day that had been added to the buffet. We began our meal with a series of starters. Chicken Peri Peri is perhaps one of the dishes which best exemplify the theme. Originally Piri Piri dishes used the chillies of the same name and a gift to Portuguese cuisine from the colonies in Africa. The Goan version, however, uses local red chillies and a lot of toddy vinegar. The dish can be semi-dry as well as gravy, the latter was demonstrated by the Brinjal Peri Peri which was part of the main courses. 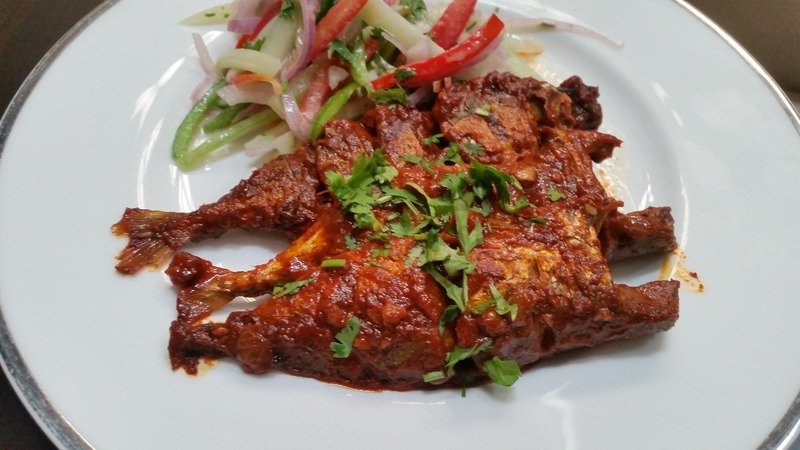 Goan Masala Fried Fish was the other starter of note. The tangy masala here was made from a myriad of heavy spices and vinegar. I loved the dish for its richness. 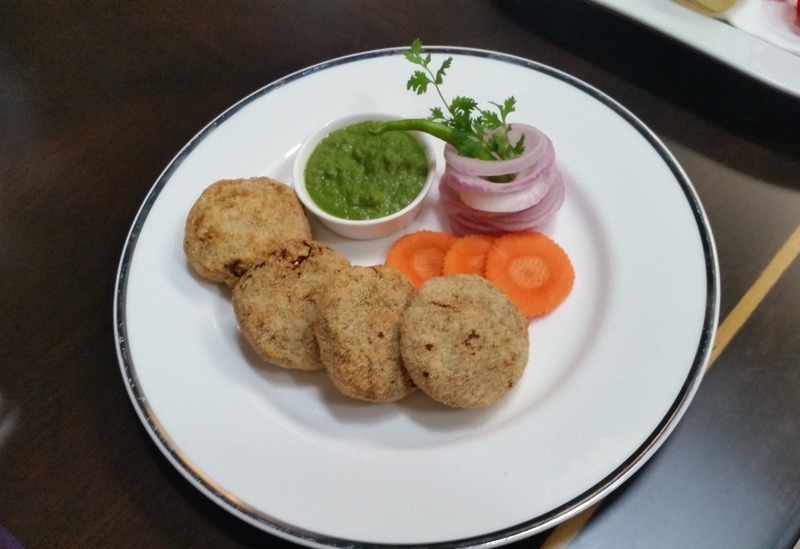 From the Gomantak cuisine, there was Vegetable Rawa Fry. Small Goan restaurants usually have a variety of semolina crusted fried fish as part of their thali. Here the assorted vegetables tasted rather good especially with the tomato and garlic dip served with it. Fenugreek Vegetable Cutlet was the other vegetarian starter, this was not very special except for the delicious green chutney which accompanied it. We tried out the soups and salads next. 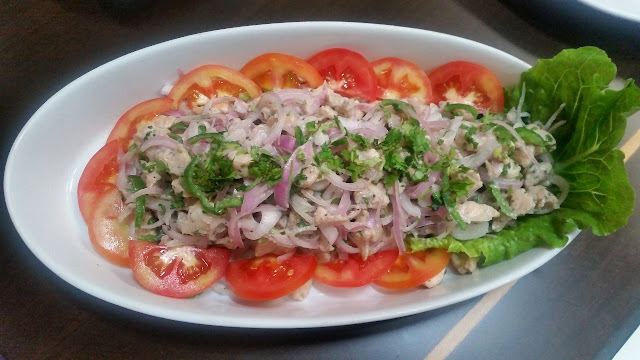 Goan Chicken Salad was an extremely simple preparation of boiled chicken with lots of onions, tomatoes and coriander. 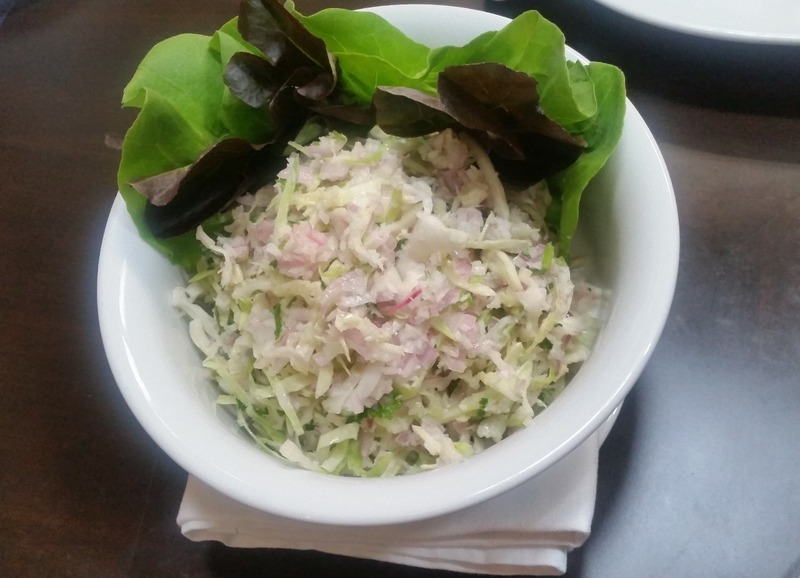 For vegetarians, the tangy Cabbage Salad had a dash of lemon and vinegar in it. 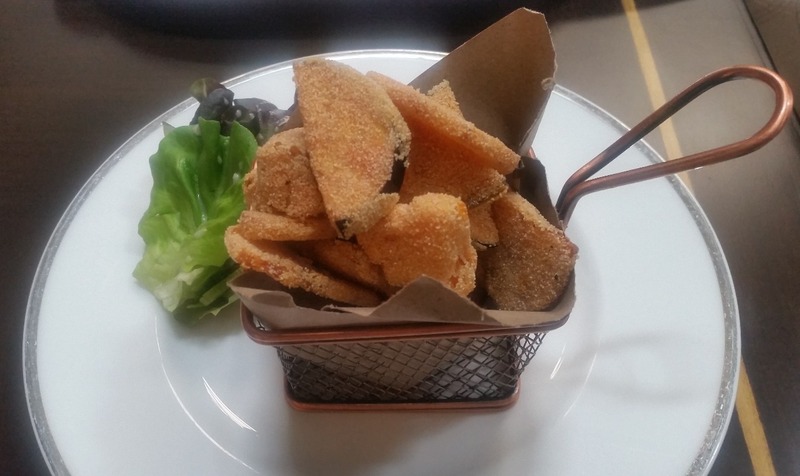 Kismur, a dish with dried fish was not part of the menu today. However, my friend who had visited the festival on a different day recommends it strongly. Caldo Verde soup had a base of potato with spinach. The olives in the soup added an extra zing to the taste. 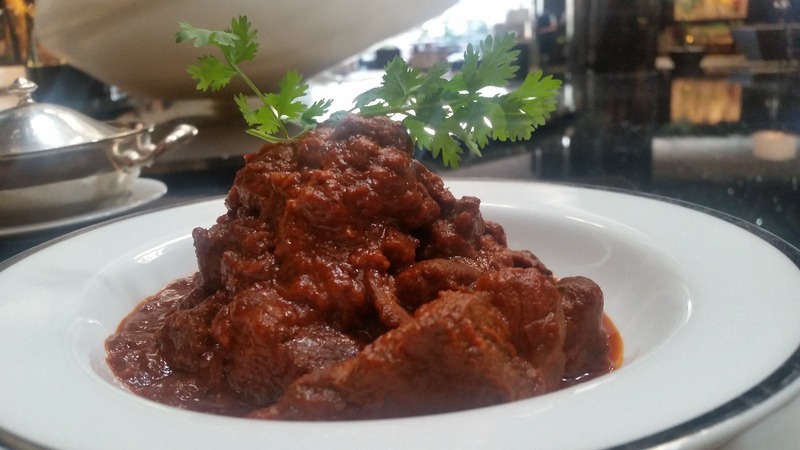 Among the main courses, my pick was the Lamb Vindaloo. The dish gets its name from Portuguese Vinha D’Alhos which literally means meat in a wine based gravy. In Goa, toddy vinegar has replaced wine in this dish, and the spicy tangy taste which is the hallmark of the Goan food was clearly felt in the taste. The Poi bread sent with it tasted delicious after absorbing the gravy. The hallmark of Chef Tanuja’s cooking is surely the perfect balance of spices she brings into her dishes. The Goan Pomfret Curry had all the flavours of the Goan spice pastes that we are so familiar with. 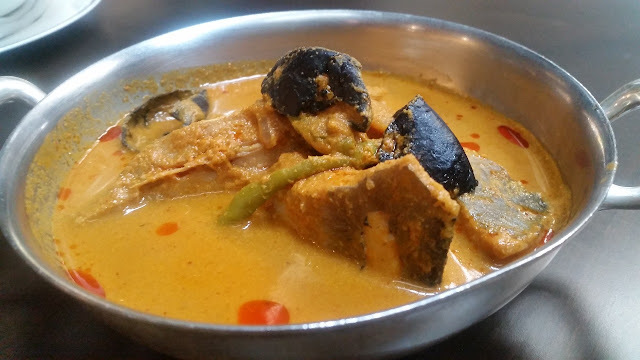 The coconut milk based dish is one example of the native Konkani cuisine. This was lapped up with the Goan Red Rice. 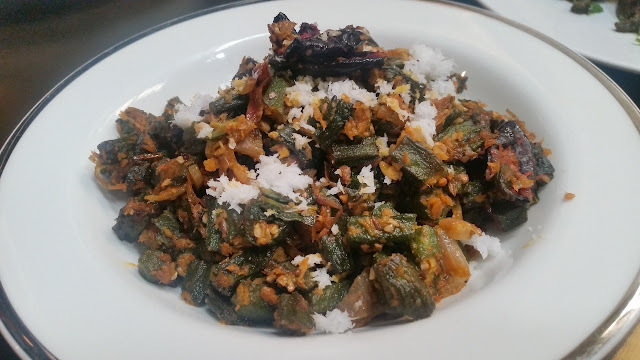 The vegetarian dish Bhindi Sukem was another Gomantak dish which used a lot of coconuts with okra. Most cuisines have a recipe of green masala, and for Goans, it is cafreal, which is again a recipe from Portuguese colonies. It is said that the African slaves from Mozambique who came along with Portuguese brought this recipe to Goa. The Chicken Cafreal here had green chillies, coriander and mint as the major flavours, and worked brilliantly with poi. 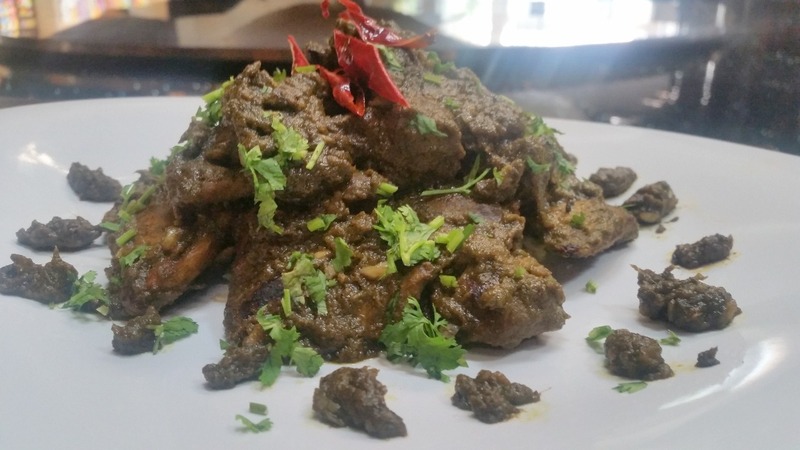 We also tasted Crab Xec Xec, with crabs tossed in a dry coconut based masala. 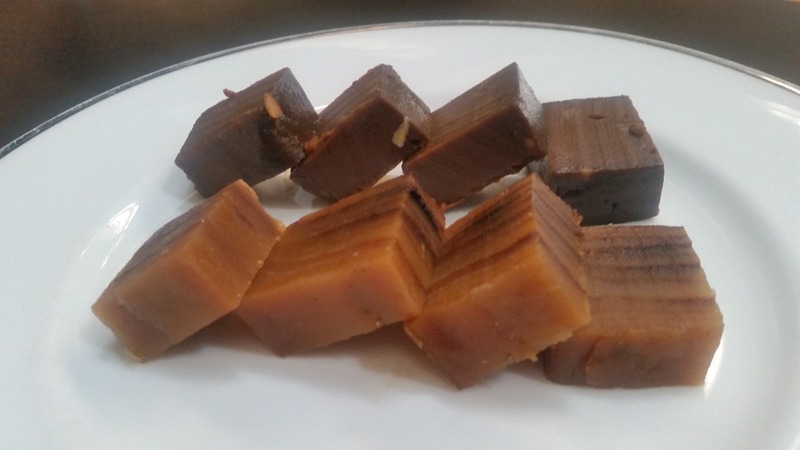 For desserts, there was Bebinca, the famous layered Goan sweet and Dodol, the soft sweet of rice flour and coconut milk rich in palm jaggery. 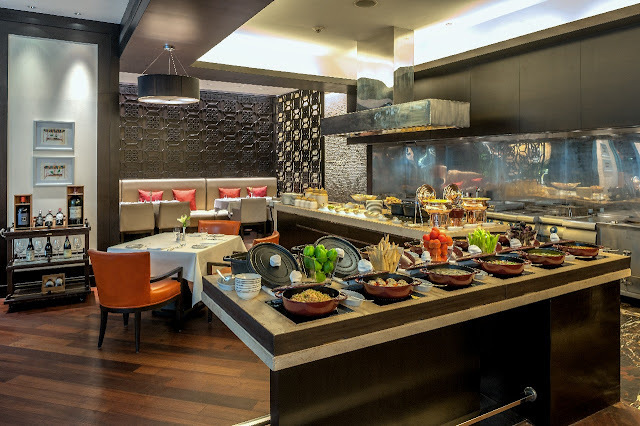 The promotion is on until 21st January, as part of the buffet both for lunch and dinner at Dining Room, the all-day diner at the hotel. It is priced at Rs 1500 plus taxes. 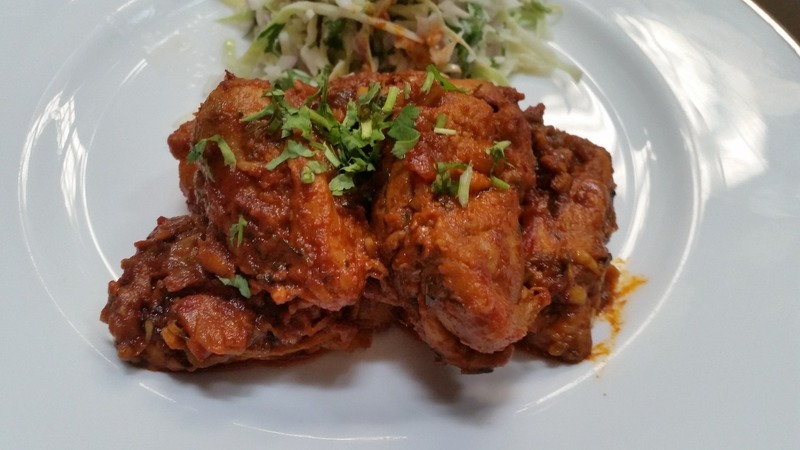 The menu changes every day, and apart from the dishes mentioned incorporate other Goan delicacies like xacutti, recheado and balchao. Disclaimer: The review is based on an invite from the restaurant. Some photographs are courtesy the hotel.